Its coming spring in the North of the UK, here are a few trees that are coming into leaf and bloom, more to follow as the flowers appear. This weekend was the EBA show in Ljubljana. 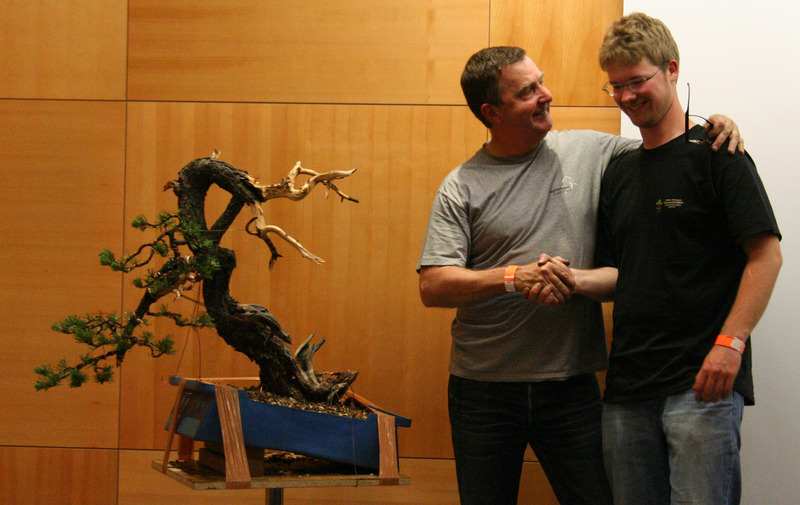 I Exhibited a tree, was a headline demonstrator, I traded my Yamadori and I did a presentation about Hawthorns! The weekend has been full on, but what made this extra special was that I did not have to stay in a hotel, I stayed with Nik Rozman and his wonderful parents Peter and Marina… it truly was home from home. 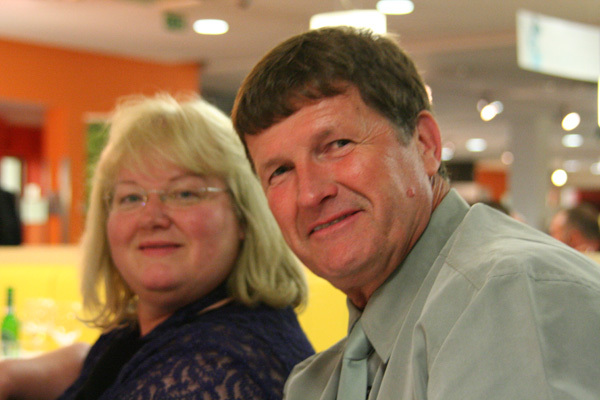 Staying with Nik was great because having somebody who was ‘local’ and deeply involved with the organising club meant that a lot of the ‘formalities’ (translating, help with my trade stand, drivers) were easily overcome. My thanks goes to them for making my stay so enjoyable. The majority of exhibition was a very high standard, with 11 countries taking part with over trees on show and 12 traders. Normally the first day is busier, not on this occasion. Saturday was a VERY hot 28c and sunny with the people through the door less than expected. The exact opposite on Sunday VERY cold 4c and overcast. More than three times the amount of people came. 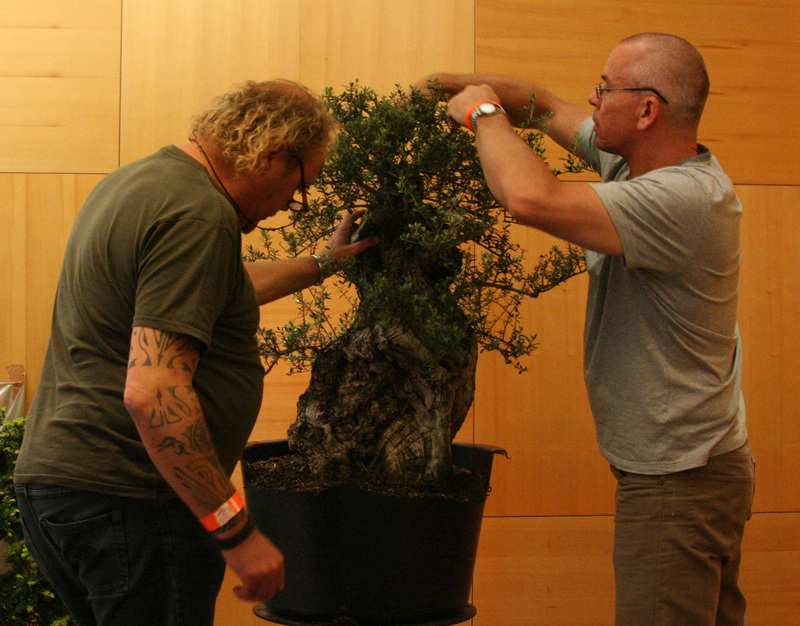 Considering that this is the biggest Bonsai show ever to be staged staged in Slovenia the organising club Slovenski bonsaj klub did a great job. 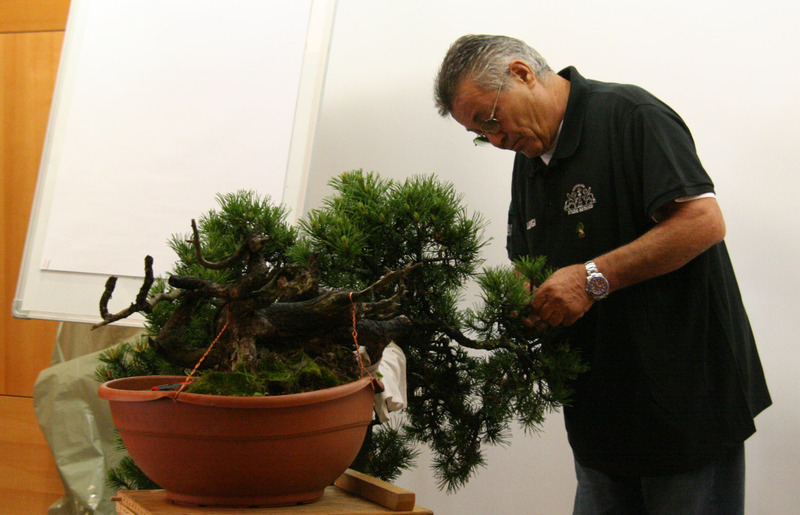 My demo with Nik was on a beautiful Mugo Pine that he had collected three years before. Kevin Willson assisted by Richard Chambers worked a massive Olive and Yew, the Italian talked about a mugo pine that had been fully prepared for him by his assistant. This Yew Tree has been in development for many years, this was the point that I needed to bring the foliage closer to the trunk. It was a nail biting experience, but the tree survived and thrived. I will be posting more about this tree later in March.